I recently had the opportunity to review and test Zoner Photo Studio 12 and, overall, I was rather impressed with the software. 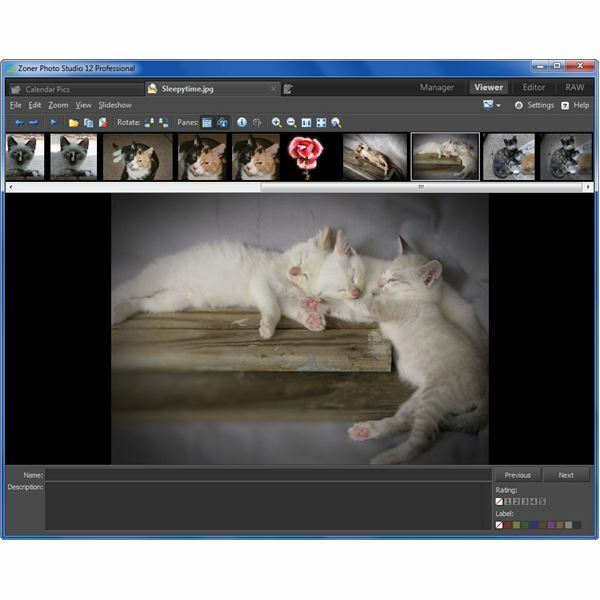 The bundled package includes a number of photo management, processing, and editing tools integrated into a single interface that has a well-designed layout and is easy to navigate. The developers of Zoner Photo Studio tout the application as an "all-in-one solution" and this review will take a look at the various capabilities of the software to see how well it lives up to that claim. 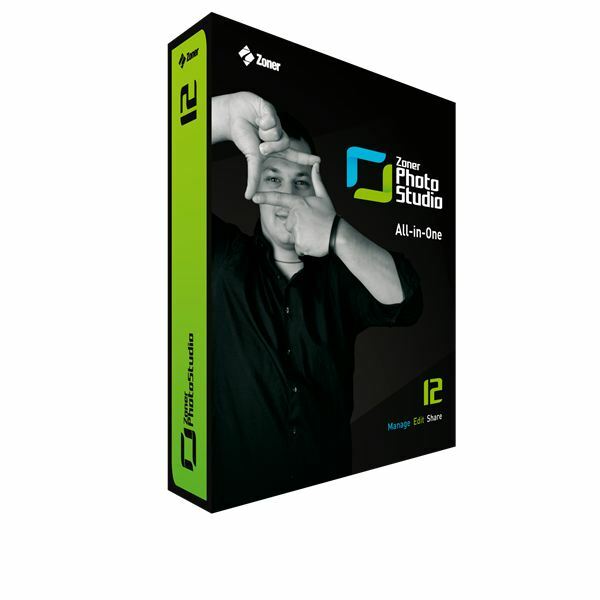 At first glance, Zoner Photo Studio 12 seems very similar to ACDSee Pro 3. The functions of the software are divided into four categories – Manager, Viewer, Editor, and RAW – and each category has its own tab in the user interface. This makes it quite easy to pass back and forth among the various areas so, for example, you can edit a photo in one tab and still browse through your digital library in another tab. The Manager tab contains several tools to help acquire, organize, and share your photos. This tab also includes many extras, such as a quick calendar creation wizard that lets you select a group of digital photos to use as a basis for a photo calendar and a slideshow creator. Just as its name implies, the Viewer tab lets you view individual photos and information about those images. You can select exactly which panels to show by toggling them on or off, and you can even choose to enter a name and description for each photo in your collection to help you further manage your library. Despite the general category breakdown and workflow being somewhat similar to ACDSee Pro 3, the Editor in Zoner Photo Studio 12 is quite a bit different. 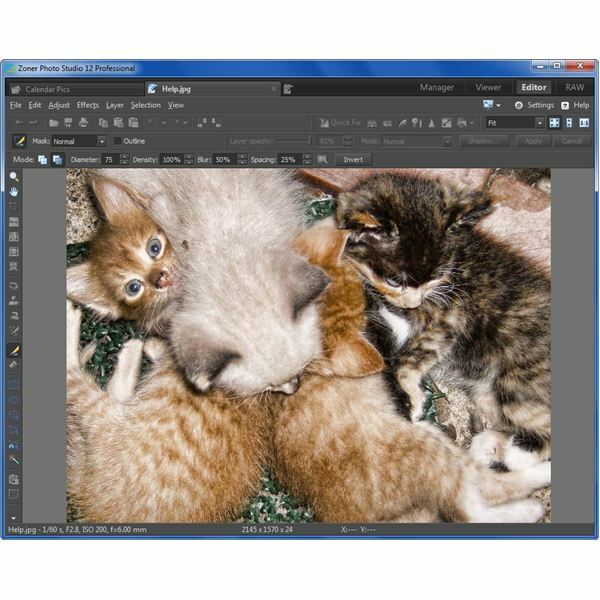 In fact, the layout of the Editor tab has much more in common with applications like Photoshop Elements and Paint Shop Pro. So, if you’ve used those products in the past, you should feel right at home. If you’re new to photo editing in general, it may take some time before you’re completely comfortable with the advanced tools found in Zoner Photo Studio 12. The software does come with a built-in help system, and a few additional tutorials can be found at the Zoner web site. Even with these resources, there are some gaps and you’ll probably have to play around with the software for awhile before you realize its full potential. The RAW tab contains tools that let you non-destructively process raw images either individually or in a batch. To make this process more efficient, Zoner Photo Studio 12 allows you to place the RAW files you want to convert in a queue so you can wait and start the conversion process after making adjustments to several files, and then let the software process these images while you go on to other tasks. Even though the software is packed with functionality, it still loads fairly fast and manages memory well. If you’re working with extremely large images on a computer with low resources, you may experience some slowdowns, but the same can be said of any image editor. Zoner Photo Studio 12 is definitely above average when it comes to speed and reliability. One very nice feature of Zoner Photo Studio 12 is its extensive support of GPS data. Even if your digital camera doesn’t have GPS capabilities, you can use a tracklog to assign GPS information to photos, enter the information manually, or look up the information in Google Maps without ever leaving the software. If you have Google Earth installed on your computer, you can also use that option to obtain GPS coordinates. Once this data is present, you can use it for a number of projects in Zoner Photo Studio 12, such as creating a web gallery that integrates your photos and Google Maps. There are two versions of Zoner Photo Studio 12 – the Home version retails for $49.99 and the Professional version lists for $99.99. Both versions provide excellent value. The Home version of the software includes all of the basic features while the Professional version includes additional components such as the advanced RAW processing module, PDF support, and 16-bit-per-channel color support. For a full comparison of the two versions, see the chart on Zoner’s web site. Zoner Photo Studio 12 really is an affordable all-in-one solution that comes packed with a number of features that make it stand out from other photo editing applications in its price range. 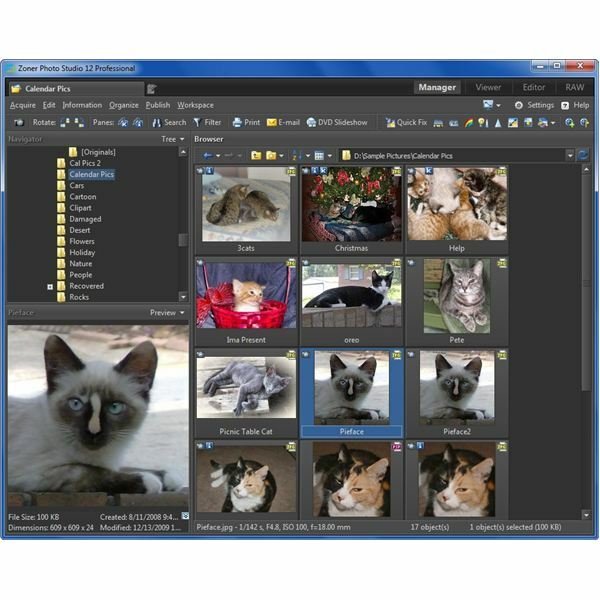 The integrated photo management system is a particularly nice functionality of the software, making it possible to handle all of your photo-related tasks in one application. The only real issue I have with the product is that it is pretty lean on training materials. While the built-in help system is comprehensive, it only covers the fundamentals of each feature. The tutorials found on the web site are very helpful, but there’s only a handful of them. This could make it tough for the novice photo editor to realize the full potential of the software without doing a lot of experimentation and trial-and-error editing. Even with this caveat, the software is definitely worth checking out. If you want to try it for yourself, you can download a free 30-day trial of Zoner Photo Studio 12 from the Zoner web site.